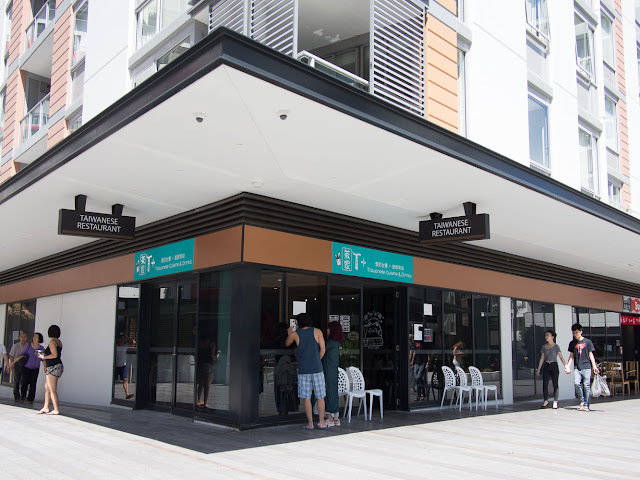 We were most excited to see a 'Taiwanese Restaurant' sign appear in Wolli Creek late last year. Tea Plus soon followed. So did the crowds. This place hit the ground running. Most likely because they have other branches in Kingsford and Burwood. This place is always busy and hats off to the staff who smile whilst working like demons. 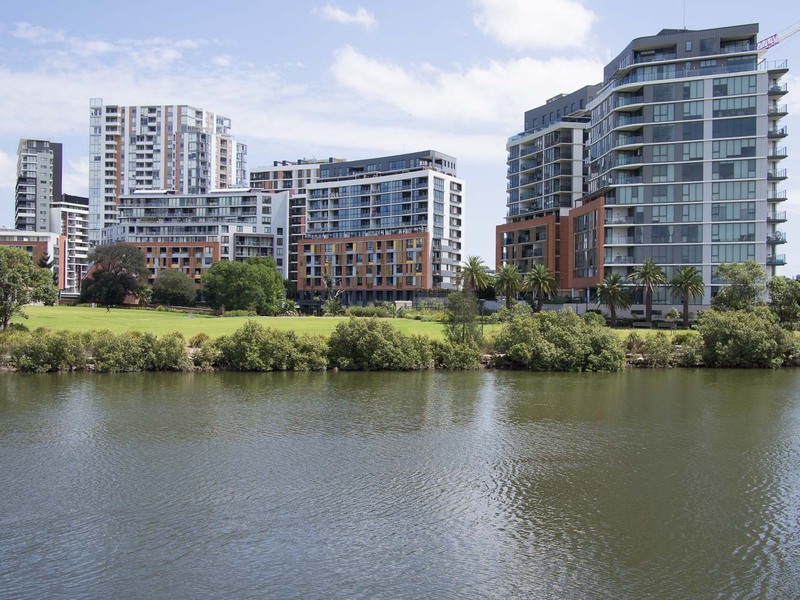 Wolli Creek is finally settling in as a suburb, new restaurants, supermarkets and stores are finding their feet and opening below the high rises. Most importantly there's a sense of community here, at very least the impression of one. We've been loitering Wolli Creek quite a bit of late and any day of the week, any time of the day there's always people around, lunching, snacking and doing the coffee thing. There's a buzz here, a small buzz, but a buzz all the same. Beef Noodle Soup - $11.80. This is a generous bowl of broth and noodles, served with the usual pile of Taiwanese style pickled veg on the side of the broth. The meat is brisket cut with a big chunk style, easy to pick up and eat. The broth was a little on the spicy side too, dark and beefy. 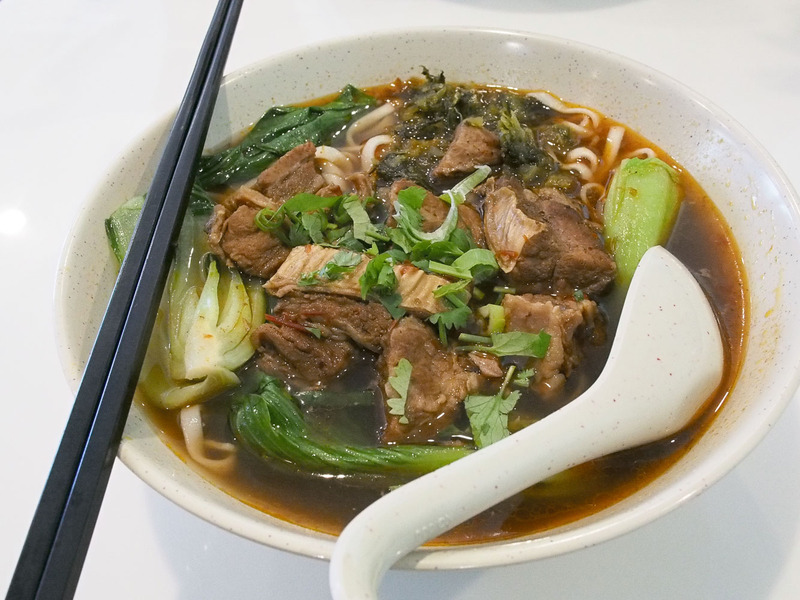 We are big fans of Taiwanese beef noodle soup and this one is a beauty. 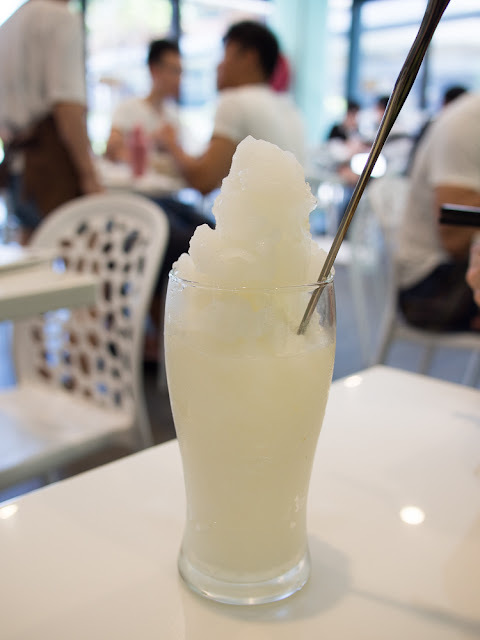 The drinks are top notch - this lemon yoghurt slushy ($5.50) gave us ice cream headaches on a 40+ degree summer day - freezing and melting at the same time - an odd sensation we will never forget. 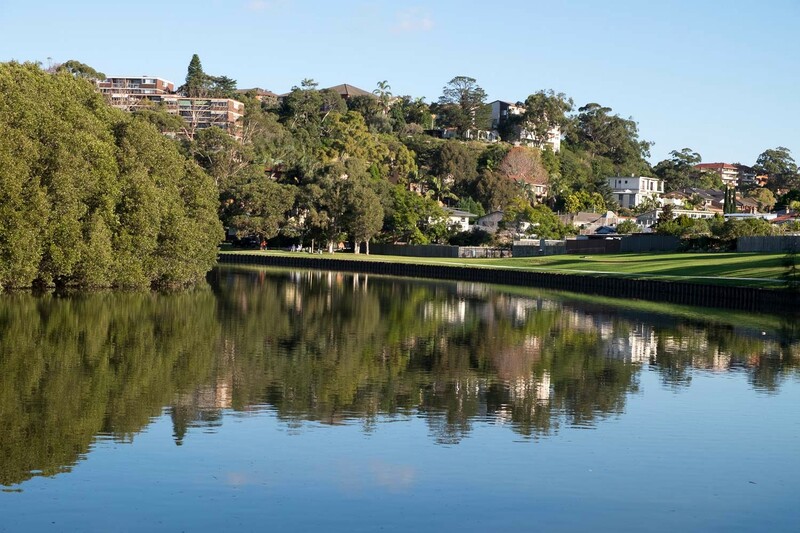 Our favourite way to get to Wolli Creek is to walk along the Cooks River, starting at Canterbury for a good hours stroll before lunch. This bend in the river is our favourite spot along the walk. After a weekend lunch in Wolli Creek we might waddle across the river to the Concordia Club for a German beer or the most awesome cheese strudel five bucks can buy. Or we might duck across the Princes Highway for a beer with airport/water views at the Rowers club. Quack. 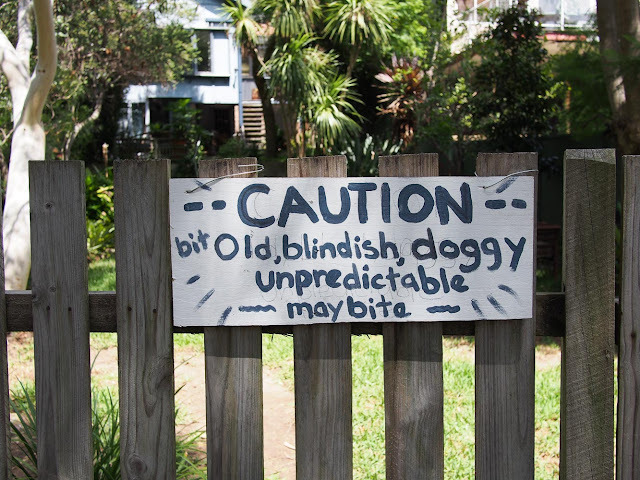 Or we might waddle back ten minutes along the Cook's River then hang a right up Illawarra Road into Marrickville for Greek sweeties or a Vietnamese iced coffee further down the road. Or we might stay home and watch telly. Watch out for the wildlife along the Cook's River. There's a bunch of fun little snacketies on the menu. 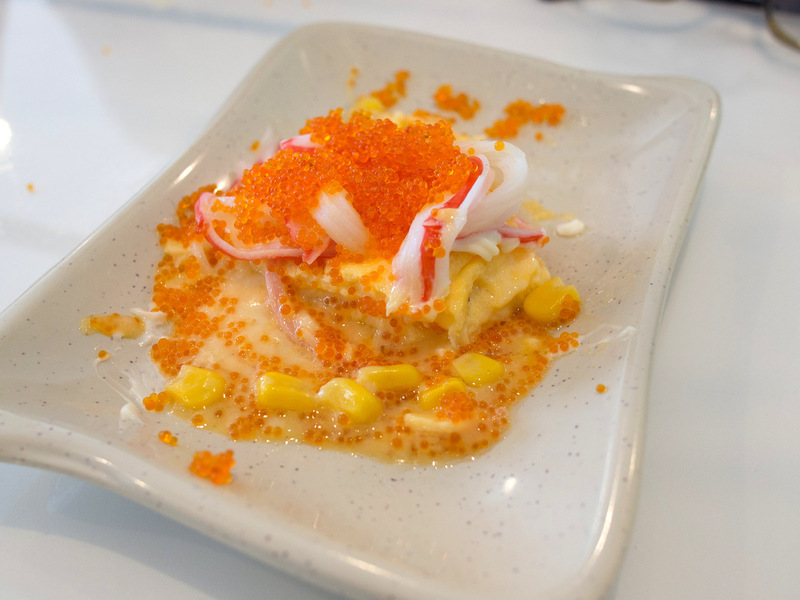 Our favourite so far is the crab meat & flying fish roe tomago - $7. 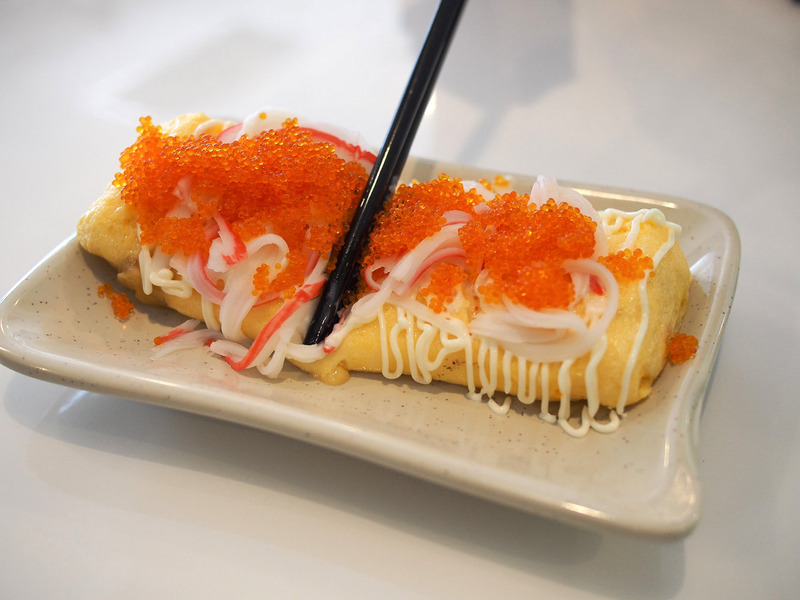 A thin omelette filled with cheese and corn, topped with crab meat and fish googies. According to Tea Plus website, the omelette is made by rolling together several layers of cooked egg. It's so wonderfully eggy, cheesy, fishy and gooey. Brown sauce chicken on rice - $10.80. 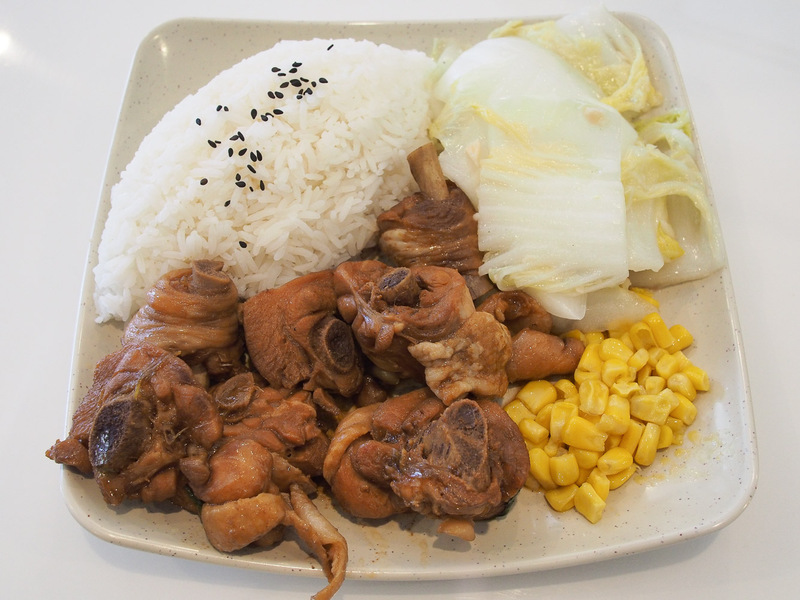 A homely stew of chicken on the bone with rice, a little corn and cabbage. Man how we love that cabbage, we think it's simply steamed or simmered in water with a pinch of salt. We've started cooking it at home. 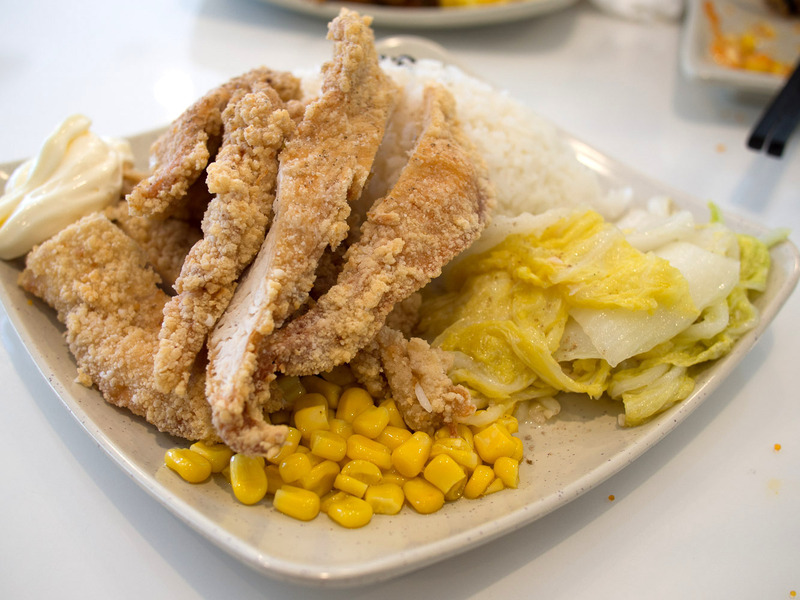 Deep fried chicken cutlet on rice - $10.80. Chooken in light batter, we found it really sang when we nabbed some chili sauce from the counter. 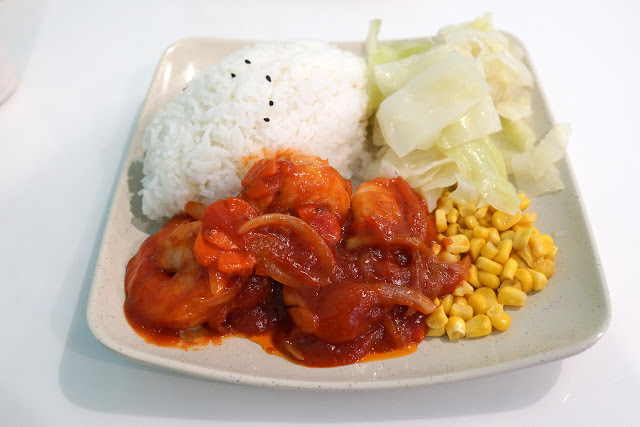 Tomato sauce prawn on rice - $11.80. A few good medium sized chumpy prawns in a homely ketchup-y sauce. We liked this a lot more than we should have. 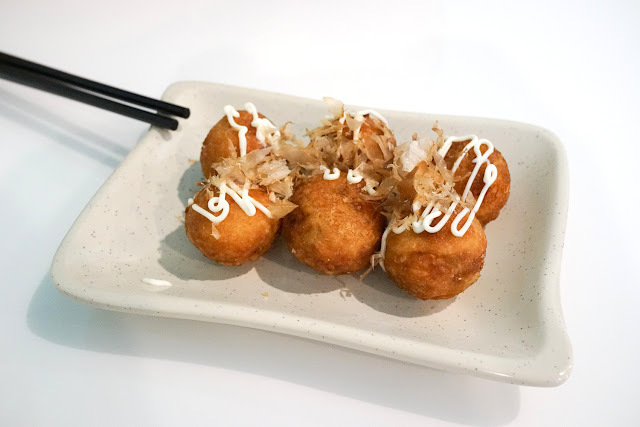 Takoyaki - $6.90. The classic little balls squiddy fun. Pork sauce on rice (small) - $6.50. 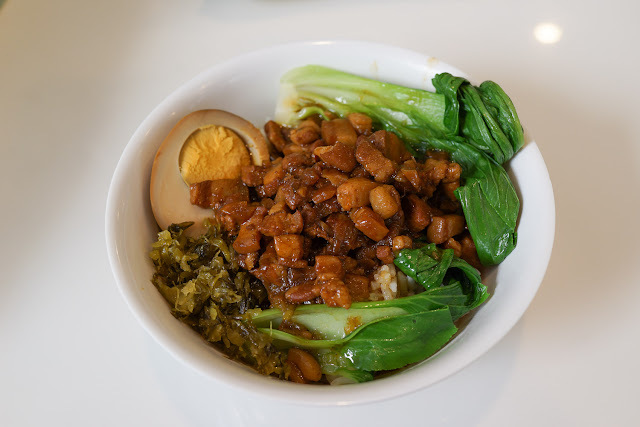 From our travels in Taiwan we reckon pork on rice would have to be the most quintessentially Taiwanese dish, it's everywhere. This version is a little schmancy and we like it - the pork is rich and cut into weeny chunks. The richness is cut by steamed greens and pickled veg. Triffic. 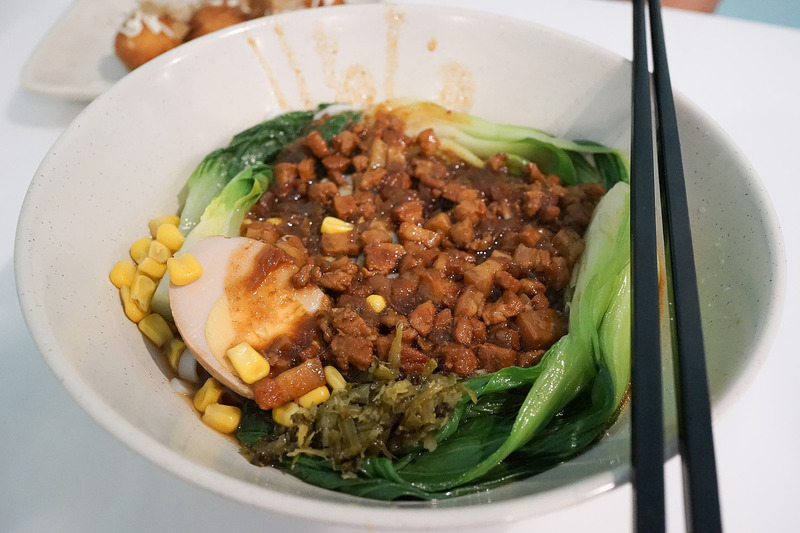 For similar kicks sans rice try the Pork sauce noodle - $10.80. There's a lot of noodle down there, this is a hunger buster. 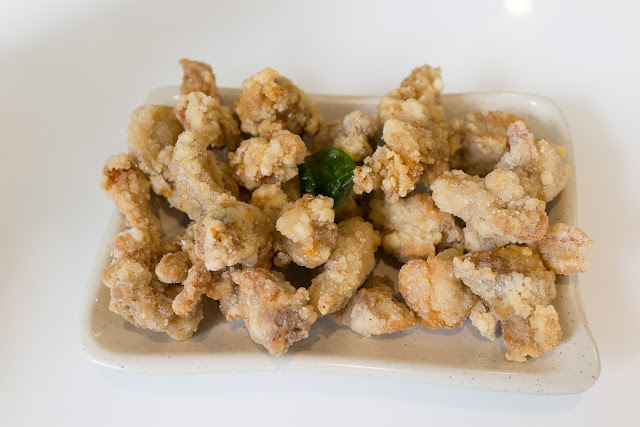 Another fun side dish - house special chicken basil - $6.90. Deep fried little chicken bitsies in the same light batter as the cutlet above. We didn't really taste the basil but there was a leaf on top for evidence. We're not huge fans of the fried chicken here but we're not big on fried chicken to begin with. Almost every other table has fried chicken on it so don't listen to us. 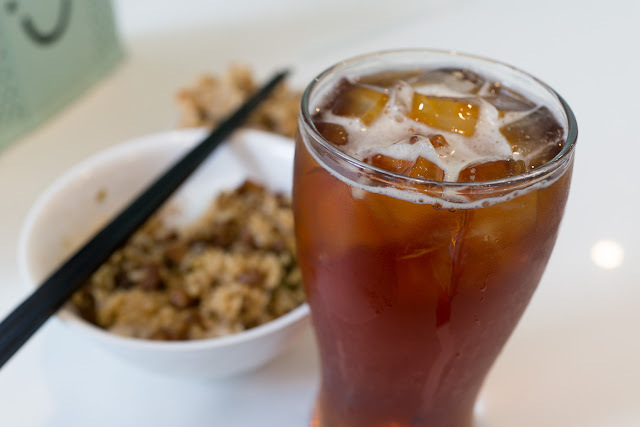 As a set the pork mince rice, chicken basil and cold black tea were just a bit over $12. Bargain. 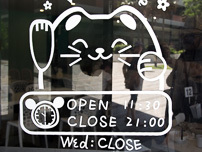 You can't miss the signs that declare this a Taiwanese Restaurant. If it's Chinese style, the cabbage is boiled in water with a pinch of salt and sugar. Definitely not steamed, that's far too time consuming in an Asian style kitchen!